The concept of clearing clutter, minimization or tidying up for success is nothing new. Feng Shui is an ancient practice of keeping order in one’s life and enjoying good energy flow as a result. Find out how you can adopt a few Feng Shui techniques, practice minimalism and see how your life can actually improve as a result. 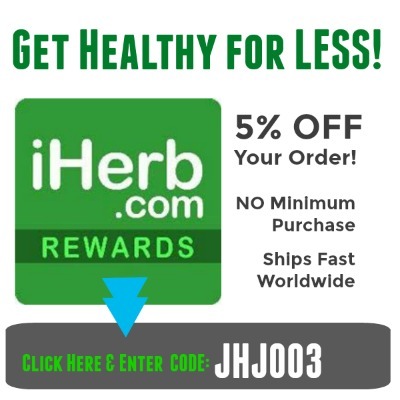 It’s pretty amazing stuff, especially because it works! 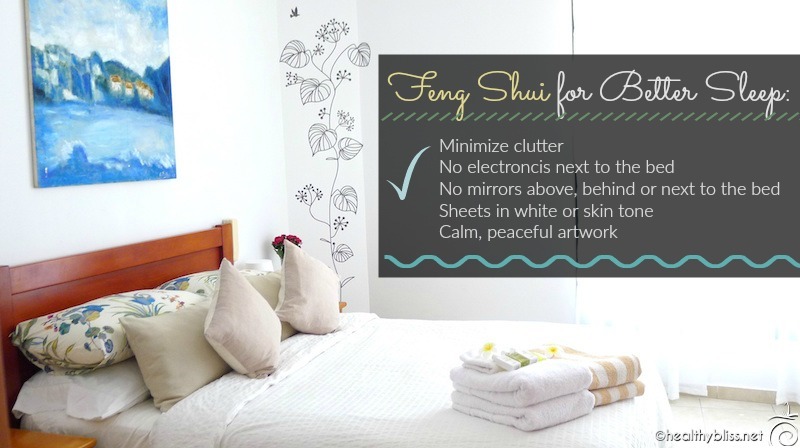 The importance of Feng Shui in the bedroom is second to none in terms of getting a restful sleep. To start, correct placement of mirrors is essential. Don’t place any mirrors behind, next to or even above the bed. 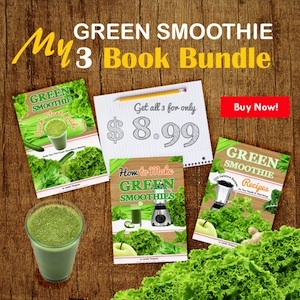 This will drain your energy all night long, and leave you feeling depleted with lack of focus in the morning. Do place mirrors behind a door or in the closet/dressing area for good Feng Shui. Next, check your sheets, pillows, blankets and comforters. For the best Feng Shui in the bedroom, all linens should be either white or skin tone in color; that is, any shade of tan or brown. Choose plain fabrics with minimalistic designs and avoid loud patterns. You don’t want bright colors or mismatching patterns, all of which create energetic “noise.” I recommend to use only a high quality (300 count or more) 100% cotton sheets and avoid polyester blends. When you get into bed, it should feel like the most comfortable place on earth. Take time every morning to make your bed consciously, with attention and intention to take care of your sleeping space. The worse thing you can do is throw pillows haphazardly, unconsciously or while filled with stressful thoughts. You will only keep that energy there waiting for you when you get back at night! If you suffer from insomnia, turn on an essential oil diffuser with organic lavender oil in the bedroom for about an hour each night. Either use a timer function or turn it off manually before going to bed. Minimize electronics in the bedroom, especially ones that are right next to the bed. 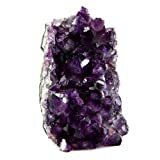 Placing a large amethyst crystal cluster in the bedroom can help to relax the mind and promote a deeper, more restful sleep. Perhaps you never thought about what type of energy you have in your home for harboring good relationships, but in terms of Feng Shui, it’s very important! If you are single, there are things you can do to attract a partner in your life. And if you have a partner and you want to continue in a successful union, there are some Feng Shui decorating points that can actually help keep a loving relationship. To find a partner, don’t worry about how to meet them. Instead, get your Feng Shui in order…and the universe will bring that person to you! 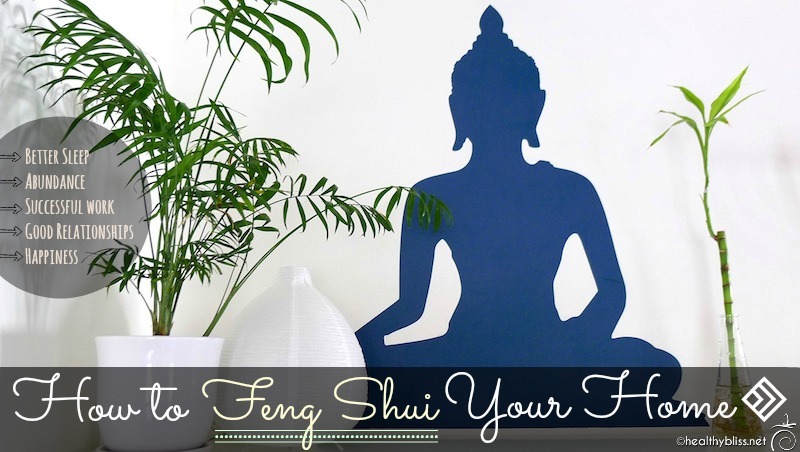 Good Feng Shui for love starts with the images in your home. What you want is art, posters or paintings or 2 animals in nature, such as 2 elephants walking, 2 fish swimming or 2 birds flying. The worst Feng Shui is to have a single woman sitting alone on a beach, or a single animal alone in a painting. If you want to stay single, that’s ok! But otherwise, get rid of it. To keep a partner, bring in the powerful symbol in Feng Shui for love and marriage, sometimes called the “double happiness” symbol. 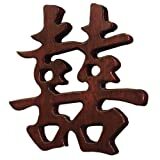 This is a symbol you can hang in your bedroom, and for the best Feng Shui, you want this symbol in the southwest (SW) corner of the room. 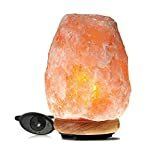 For good relationship Feng Shui, you want to have a bedside table and a lamp on both sides of the bed, with easy access to both sides of the bed. The worst Feng Shui that will keep you in forever singledom is when you have one side of the bed directly against wall with only one side of the bed accessible for entry and exit. The bedroom should be clear of clutter and simple in design to keep drama and discord out of the relationship. The energy in your office should ideally help to strengthen your ability to focus, complete tasks and maximize productivity. In terms of Feng Shui, your office should always be neat and orderly. A chaotic or untidy space leads to monkey mind and scattered thoughts. Keep your desk free of clutter, and only have essential items on display. Simplicity is best. Add a nice green plant, and keep wood or bamboo elements in your office space for good Feng Shui. Finally, locate the southeast (SE) area of your office, otherwise known as the Wealth and Money corner. 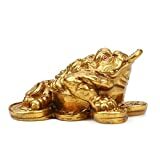 In that area, you can add a gold dragon, a three-legged frog, an image of a bat, a gold elephant, or a turtle, all considered to be powerful Feng Shui elements for abundance and success. The energy in your home starts from the moment you walk in the door, and that’s where a lot of important Feng Shui happens. Don’t put a mirror directly in front of the entrance, and don’t have a bathroom directly in front of the entrance – both of these are definitely bad for Feng Shui. A mirror in front of the door sends all the good energy out of the home. You can have a mirror next to the door or in a hallway, but not facing the entrance door. Do invite clean energy into your home by placing a clear quartz cluster in the entranceway. A quartz cluster is used to clean an energy space, with all the crystal points sending good energy in all different directions. This helps to leave worries and stress at the door, not allowing it to enter the home. Do protect yourself and your home from bad energy by hanging or placing talismans in your entryway. A Buddha statue should be facing the door and set on a table against a flat wall. Never place a Buddha statue in a corner and never place a Buddha directly on the floor. For obvious reasons, you don’t want to ever put a Buddha statue in a bathroom either. Other talismans for good energetic protection include a Hamsa, the blue Evil Eye or a Quan Yin statue. 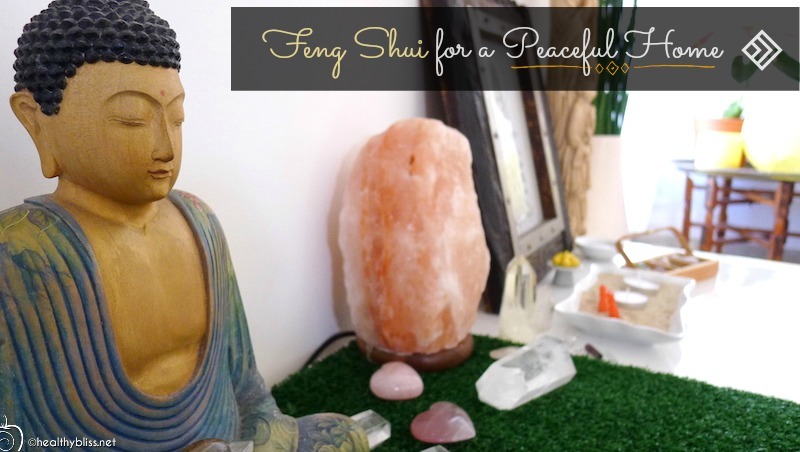 Feng shui is a centuries-old practice that incorporates the arrangement of items around you with energy flow. When you practice the system of Feng Shui, it is believed to bring more “good chi,” including better health, good relationships and success. Feng shui can unlock you from a rut and jump start your motivation again, simply by improving the energy flow around you. 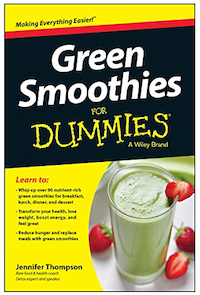 It can improve your spiritual health and well-being. What awaits you is a life filled with harmony and comfort—and it’s literally at your doorstep.